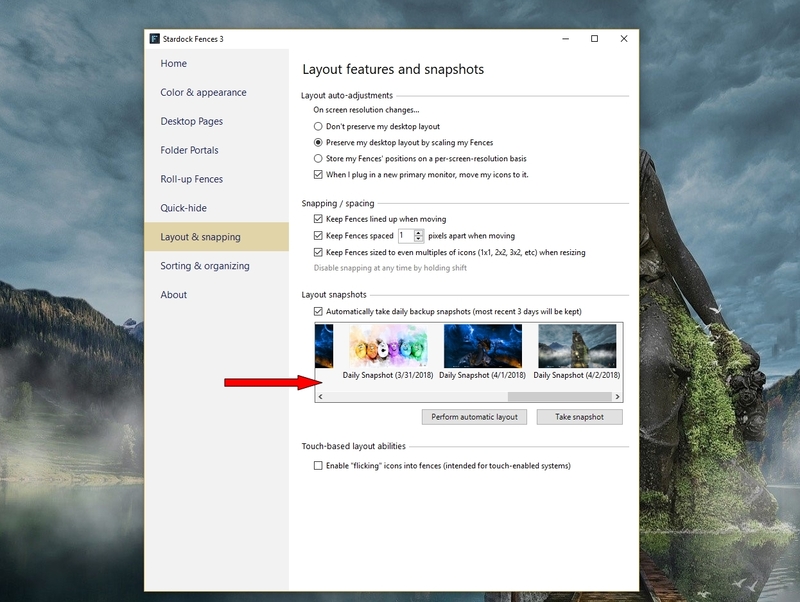 When I run a fullscreen application that is not in my computers native resolution (1920x1080), any desktop icon that is not in fence moves from it's default location to the furthest left location that it can be on the desktop. For example if I have an icon on the top-right hand side of the screen and run an 800x600 game in fullscreen mode, the icon will move from the top-right side of the desktop to the left as far as it can go. I am using the latest 3.0.9.11 version of fences, but this has happened on every version I have tried so far so it's not version specific. I am running Windows 7 Pro 64bit if that matters at all. Anyway, thanks for any replies in advance and hopefully a fix can be sorted out for this issue because it's annoying having to move my icons around to their original locations every time I run a non-native resolution app/game in fullscreen. 'game and back to 1920x1080 res. and that will restore your Fences back to right. Thanks for the the reply and that's all fine and well but even that requires more work then I am willing to do since this is an obvious bug and needs to be resolved. Furthermore, I have never created snapshot of my screen because it changes so often that I would have 60+ new snapshots a week to mess around with. Not something I am willing to do. I just want the icons to say where they are. Not to much to ask so I would like this issue to be escalated. This issue is still present in the latest version of Fences & the latest version of Windows 10. Is Stardock ever going to look into and (heaven forbid) fix this issue (it's only been 4 months since I started the topic) or are you just going to lock this topic like you did with the other one I participated in. Is this the standard Startdock support policy?